The city of Tenino Washington, 15 miles due south of Oympia, was first settled by Europeans in 1851 and incorporated in 1906. 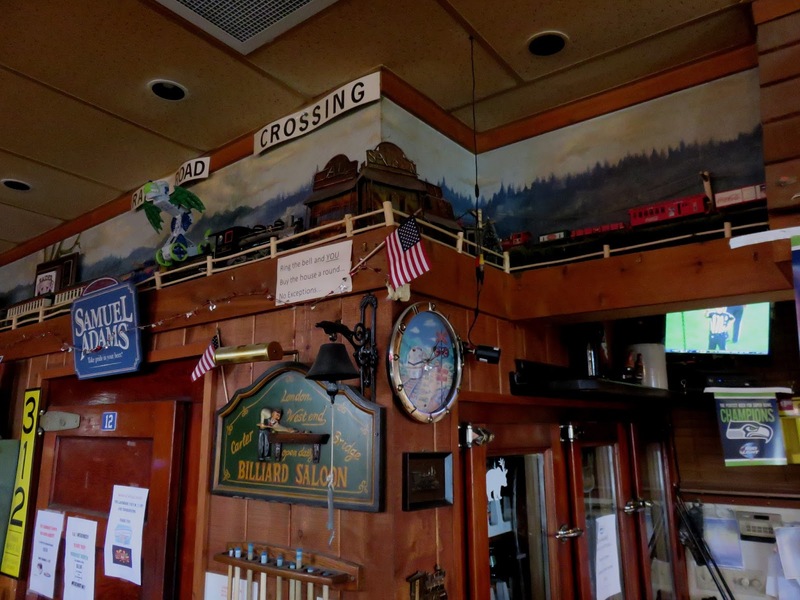 Originally known as "Coal Bank," the Tenino name was decided by the head of the Northern Pacific Railroad when final spike was driven in the section of railroad through the area. The origin of the name is somewhat disputed. Some have speculated that it is based on a train number of survey stake marked something like "T-9-0," but there appears to be no evidence to support this story. More likely it is term of the local Chinook tribe for "fork in the trail," used for the fork in the Cowlitz Trail between routes to the Puget Sound and Columbia River. With the railroad offering a means to get lumber, coal and sandstone to the booming markets in Seattle and Tacoma, the growth of the community accelerated in 1903 with the opening of the first Hercules Sandstone Quarry. The population reached 1,000 in 1915, though it would taper off over the several decades, as concrete, brick and steel increasingly replaced stone in construction. But the product of the Tenino quarries can be seen today in the jetties of Westport, the Theodor Jacobsen Observatory at the University of Washington, and many other court houses and structures across the region -- including the Landmark Tavern. Tenino gained national attention during the Great Depression, when, in the wake of the collapse of the Citizen's Bank of Tenino, the chamber of commerce issued "wooden money" to bank customers for a portion of their deposits. About $13,000 of the script was printed on thin slices of spruce and cedar in 1931 to 1933, but by the second and largest printing only $40 of the $10,000 was redeemed, as the now famous bills became collectors items. Today you can purchase an original $0.25 bill on Amazon for $8,000.00, or for much less you can visit Tenino during Oregon Trail Days in July when the locals fire up the original printing press to produce souvenir versions. 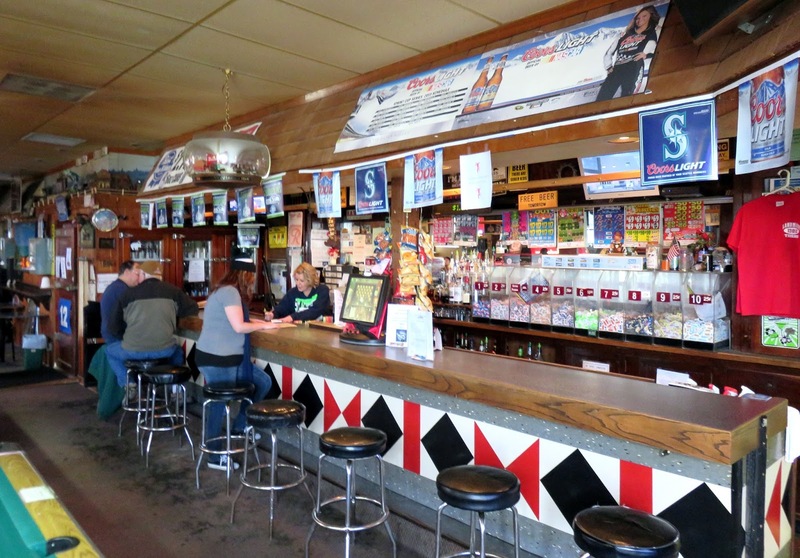 Now serving largely as a bedroom community for workers in Olympia and Tacoma, over the past several decades the population of Tenino has grown back to its boom days and beyond, now approaching 2,000. 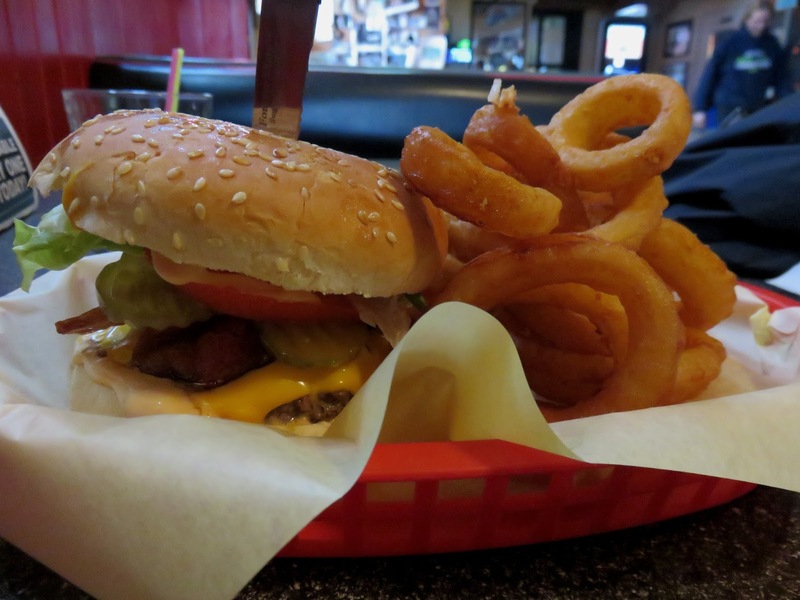 They city takes a very active interest in its history and historical structures, including the location of the Landmark Tavern. 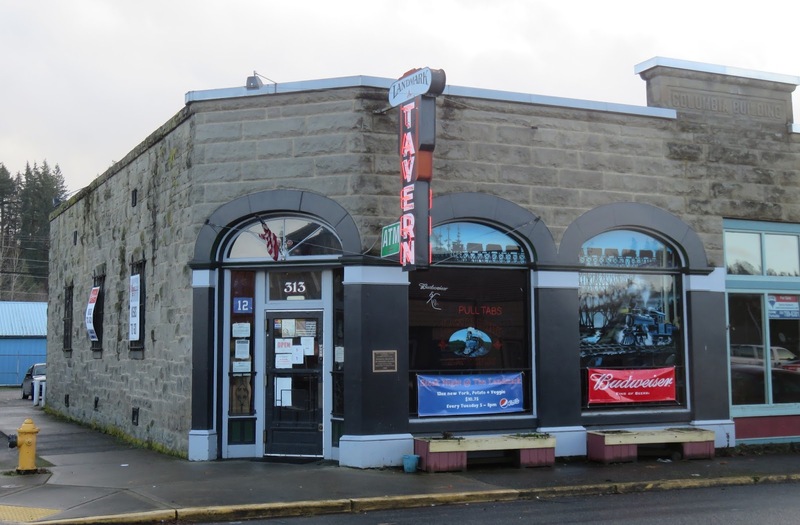 Old Highway 99 becomes Sussex Avenue as it winds through the historic downtown of Tenino, and from there one steps through the stolid rock exterior of the old Columbia Brewery into a classic dive bar inside. Like all good dives, this one has a hodgepodge of collected bric-a-brac from multiple decades and themes. The art deco back bar is barely perceivable behind the pulltab bins, stickers, humorous notices, snacks and t-shirts. The front bar features red and black shapes that seem halfway between a mid-century diner and a native American pattern. The bar is lined with chrome and black vinyl bar stools, which like all seats in the place are occupied primarily by local regulars. 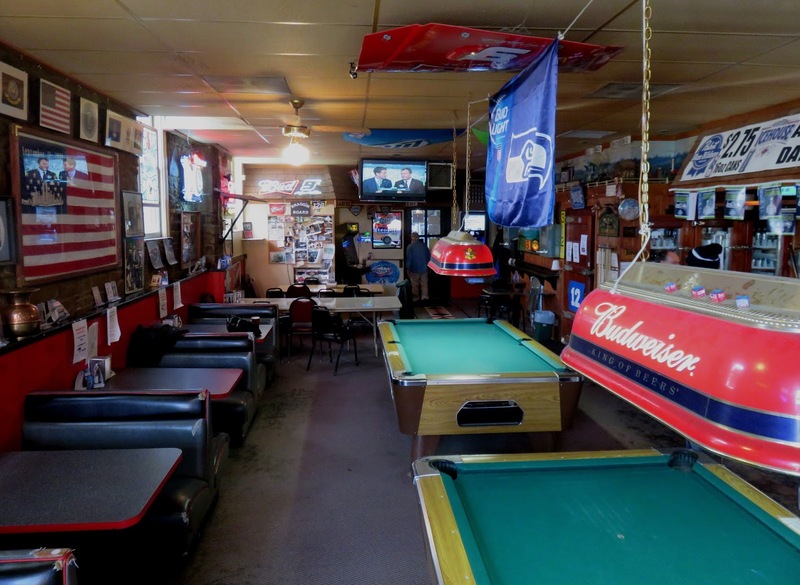 The opposite wall features tributes to the sacrifices of military service above diner style booths, with pool tables astride. Further back are a couple folding tables with banquet chairs. 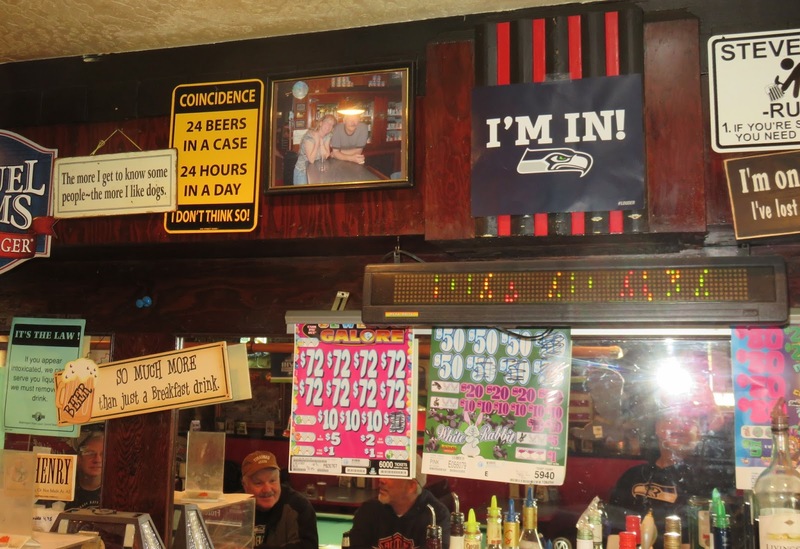 There is much of the standard dive bar corporate beer paraphernalia, NASCAR car hoods, etc. Near the rear, along the top of the wall is a miniature train set, with a handpainted background. Below that is the "Bragg'in Board" where below that curiously placed apostrophe locals post photos of their hunting successes. The beer selection includes some nice craft offerings along with the PBR and Bud, with typical dive style cocktails and classic tavern food, and I was quite satisfied with my burger and onion rings.